Boom goes the dynamite, with Stone's Imperial Russian Stout, one you should run out and try on tap at Jones Radiator. Bottles should be hitting stores soon. This is a jet black beer with an almost equally dark head, powered by 10.5% ABV. It's a smack in the face, for sure, but it's an enjoyable slap none the less. Sniff it -- as you should because you could probably use this as a perfume -- and the depth reveals itself straight away. The malts are present, as are hints of chocolate. Hints of sweetness tickles the back of the nose, in a creepy yet wondrous way. Take a sip, and the beer ballets onto your tongue, lacing it delicately, telling you everything will be OK. You can taste the alcohol, certainly, but it's not booze-y. The hints of vanilla and caramel makes this reminiscent of a nice brandy, and a smooth one at that. If a beer could be velvet-textured, this would definitely be it. The mouthfeel is thick and creamy, and this is obviously a sipping beer. One to enjoy. Sometimes you just need to treat yourself and Stone will help you do just that. This could be a strong contender for ale of the year. 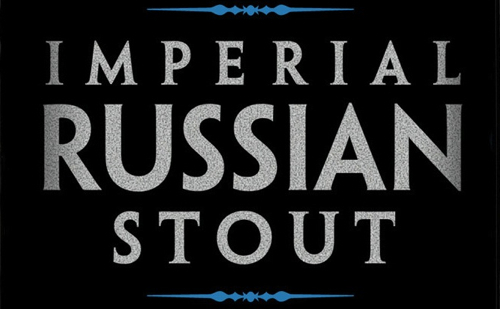 Vote for Stone Imperial Russian Stout 2011: It’s your civic duty!